RT’s Anissa Naouai has launched a crowdfunding campaign urging viewers to send a symbolic message to the US State Department and Washington’s media empire, donating money to fight autism. 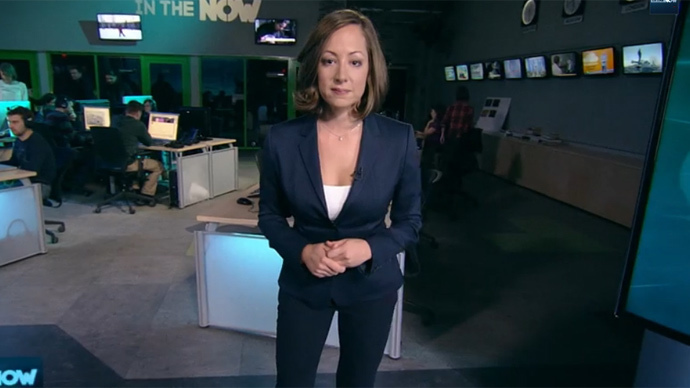 The GoFundMe project was launched by the host of RT’s 'In the Now' program, Anissa Naouai, after the US Secretary of State asked for more money from the government for propaganda and “democracy promotion” programs around the world. Instead, Anissa urges support for Our Sunny World, a partner foundation with Autism Europe. Kerry asked for $639 million “to help our friends in Ukraine, Georgia, and Moldova as they seek to strengthen their democracies, withstand pressure from Russia” and over $2 billion more for “democracy, human rights, and governance programs.” Speaking at a House Committee meeting, Kerry explained the plea by the fact that US media is losing the battle for international audiences to RT. Kerry failed to mention that Voice of America has been broadcasting in Russian since 1947. In addition, if you compare RT’s budget ($220 million in 2015) to the one US government media receives, you find RT’s pales in comparison. The 2015 budget was set at $721 million for programs under the US Broadcasting Board of Governors (BBG), which is a bipartisan agency that supervises government-sponsored media and targets international audiences. Back in 2011, then-Secretary of State Hillary Clinton declared the US was losing a media war with up-and-coming, alternative outlets like Al Jazeera and RT. “We are in an information war and we are losing that war,” said Clinton. READ MORE: More money, more problems? Anissa reminded that RT presents another point of view that counters the US media, adding that viewers should be aware of this. "Money can't buy all the airwaves and RT is not the enemy," Anissa states. #newsisnotterror When they start attacking you, you know they are worried. In depth reports & truth are the reason why RT has grown so much. This crowdfunding campaign is a message to corporate US media and the State Department. However, the cause of the campaign is autism, which now affects one in 68 children and one in 42 boys. Autism’s prevalence is growing and there is no medical detection or cure for the complaint. The US National Institutes of Health’s total budget in 2012 was estimated at $30.86 billion, while only a small part, $169 million, went directly to autism research.